Free repeat smear tests will be available until the end of the year despite the Scally report into CervicalCheck scandal finding no quality issues with labs used to read samples. Repeat testing for every woman was offered by the Government in the immediate aftermath of the scandal emerging and has heaped pressure on the system. Speaking after the publication of the report produced by Dr Gabriel Scally into CervicalCheck, Health Minister Simon Harris said there would be no "knee-jerk" reaction. However, when asked if the decision to extend free repeat smears was a knee-jerk move, a spokeswoman for the minister said: "This was a genuine response to women who might be feeling concerned. "It was one of the key questions being raised on the helpline and doctors also raised it with the minister. The level of increased uptake shows that many women did wish to get the reassurance of a repeat smear. 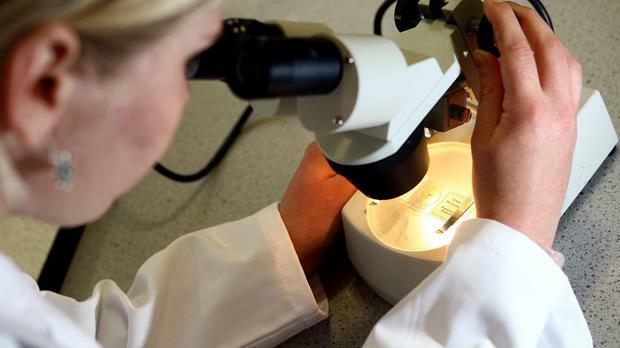 "The minister believes a key question answered by Dr Scally is that women can now have confidence that the labs being used are up to standard." Between May and July more than 100,000 tests were carried out, up 46pc on the same period last year, but it is not clear how many were repeats. A small number will have to be repeated as samples expired and could not be read. As of July all slides are being transferred in the six-week time-frame necessary for screening. Ian Begley Young carers have spoken about the difficulty of balancing their school studies with looking after their loved ones. Katherine Donnelly The association representing parents of second-level students has come out in strong support of the HPV vaccine. John von Radowitz Bacterial and fungal toxins linked to lung disease may be contaminating popular vaping products, research suggests.